Chemical Solutions have been supplying our Kemsol brand to international markets for some time now, but this is our first ‘Rolling Billboard’! 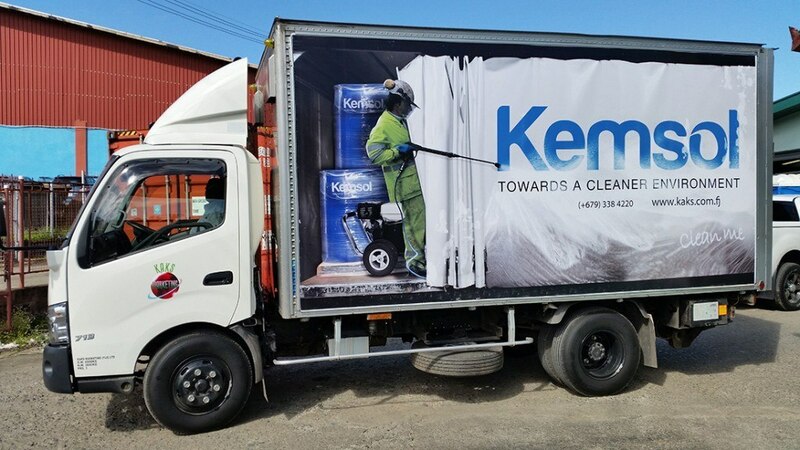 Kaks, our Kemsol distributor in Fiji have gone all out in showing the Kemsol brand off in the best possible way, ensuring that everyone in Fiji knows the best cleaning chemical brand to use and where to buy it. Good on you Kaks – looking good!